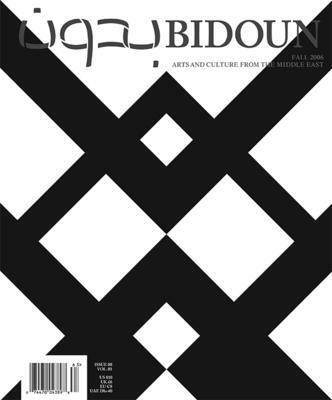 Since 2004, Bidoun has filled a gaping hole in the arts and culture coverage of the Middle East, pioneering a distinctive voice that is intelligent, critical, and original. From the beginning, Bidoun has served as a platform — for new questions, images, and ideas about the Middle East. Bidoun’s activities fall in three primary areas: publishing, educational, and curatorial. Contributors: Lisa Farjam, Tirdad Zolghadr, Deena Chalabi, Robert Shapazian, Thomas Keenan, Markus Miessen, George Pendle, Ahdaf Soueif, Kamran Rastegar, Lex ter Braak, Nav Haq, Naeem Mohaiemen, Mai Abu Eldahab, Curtis Brown, Bruce Hainley, Mustafa Zikri, Hugh Macleod, Basak Senova, Christopher de Bellaigue, Mauricio Guillen, Vahid F. Parsa, Sheila Whitaker, Antonia Carver, Nat Muller, Emily Speers Mears, Kathryn Garcia, Ioannis Mookas, Abdellah Karroum, Bassem Mansour, Regine Basha, Niels Henriksen, Murtaza Vali, Hassan Khan, John C. Welchman, Mike Kelley.